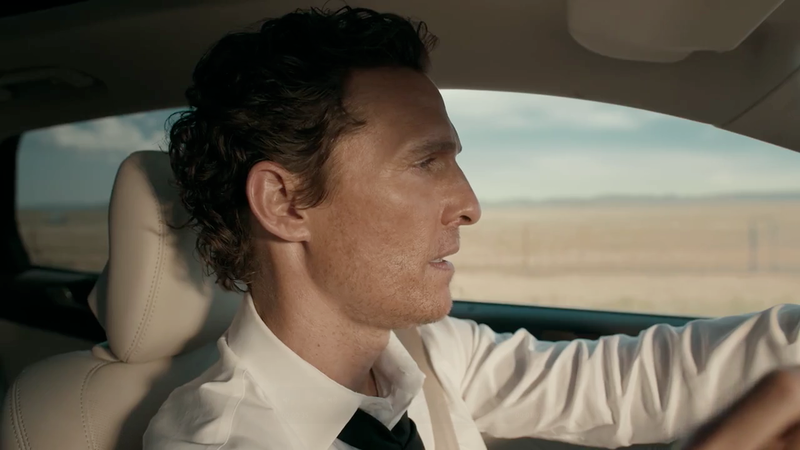 Matthew McConaughey takes his time in his first Lincoln ad through Hudson Rouge. There are almost more pauses than words of dialogue in the 60-second spot, as the Oscar-winning actor and new brand endorser sits nearly motionless in his MKC on a country road, transfixed by a giant bull who won't let him pass. Two other spots rolled out Thursday—a :60 that's more conventional, with McConaughey driving around and philosophizing on whether you can or can't "go back," and a meta :30 in which he says straight out that he drove Lincolns long before he was paid to do so. The spots were directed by feature filmmaker Nicolas Winding Refn, who was last seen crafting this 90-second Grey Goose ad.